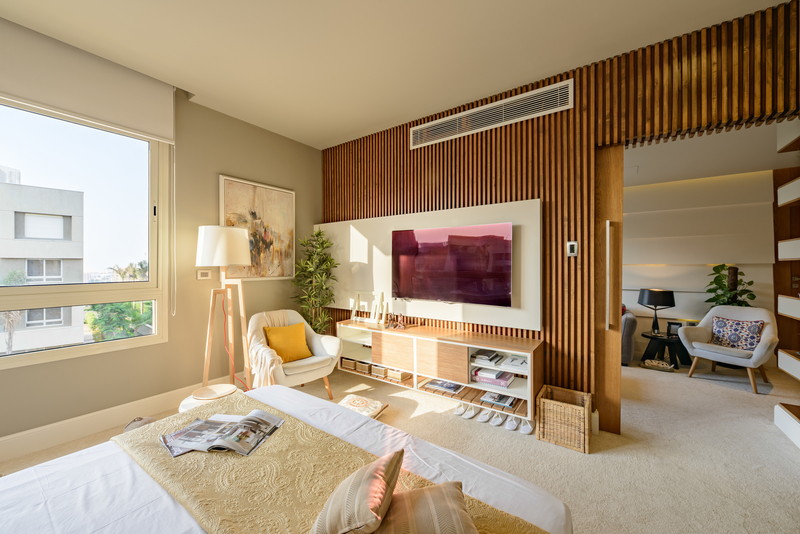 This week’s instalment of the #SBIDinspire series features the vibrant and enlivening luxury apartment in New Cairo which successfully integrates home automation technology with a sophisticated, contemporary design. We spoke to Eng. 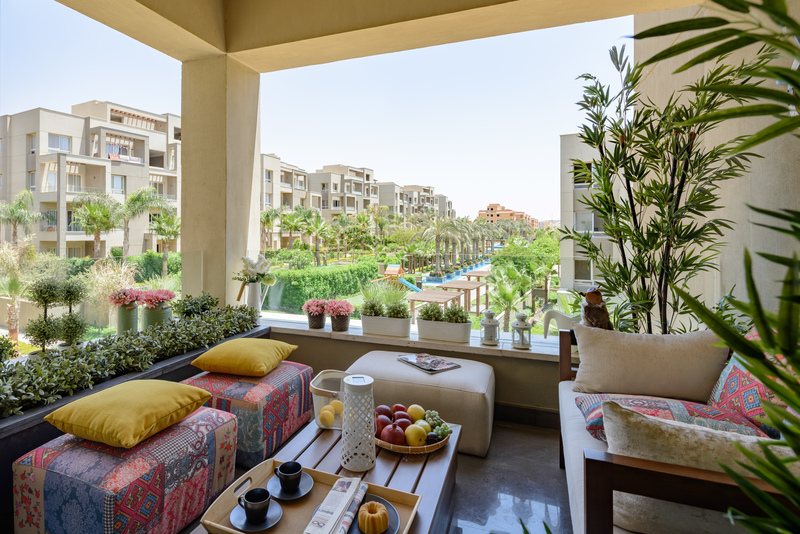 Mohamed El Abagy, The CEO & Co-founder of DAR Designs about this truly refreshing residential apartment design. 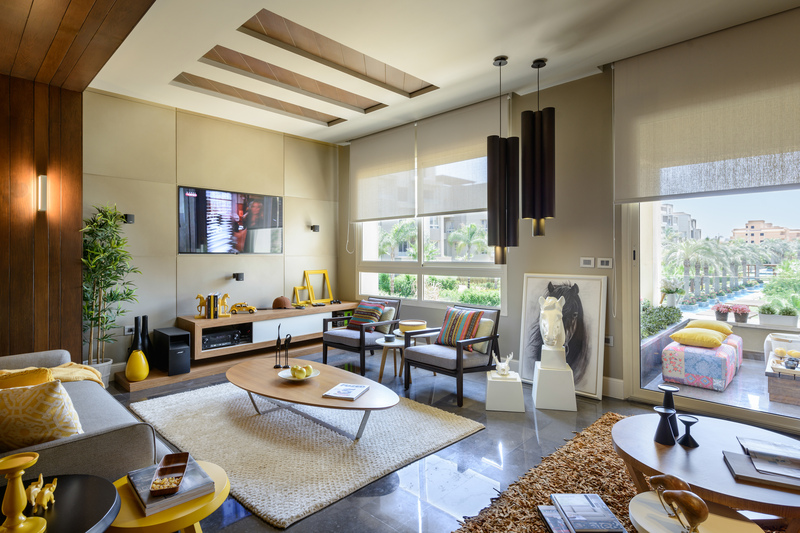 This luxury apartment in Egypt successfully integrates home automation technology with a sophisticated, modern design. 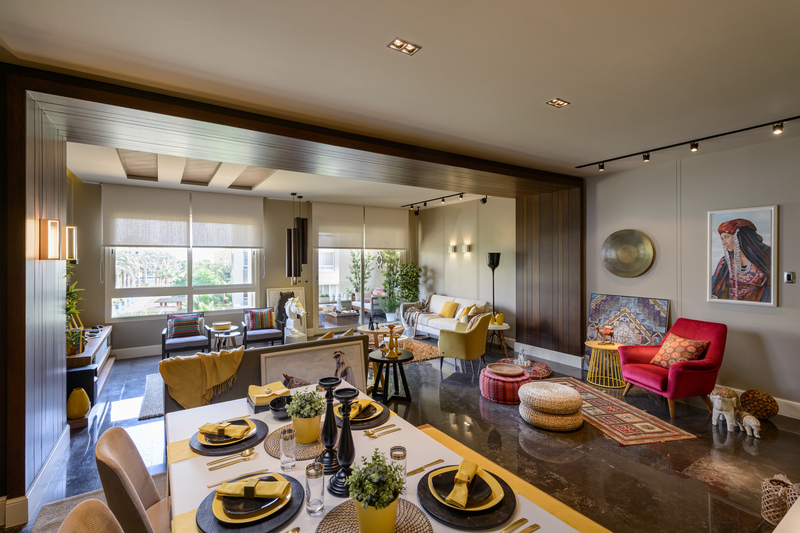 Seeking to create harmony between the traditional and contemporary, the designer has given the apartment a high-end, luxury look while maintaining a connection with Arab culture through the display of local crafts throughout the interior. 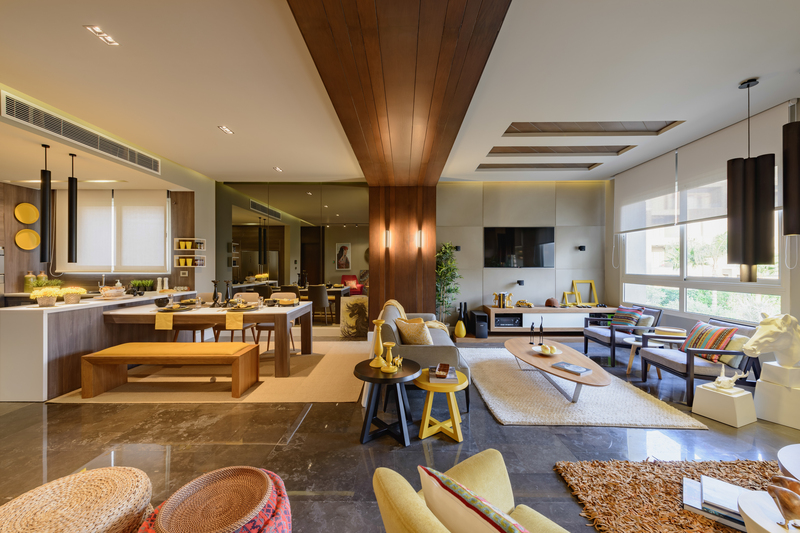 This residence also caters to the client’s active social lifestyle through an open plan space which includes the kitchen, guest living room, and dining room, all designed as one zone. To give the client privacy, the private area was also designed with its own exclusive family living room located between two bedrooms. 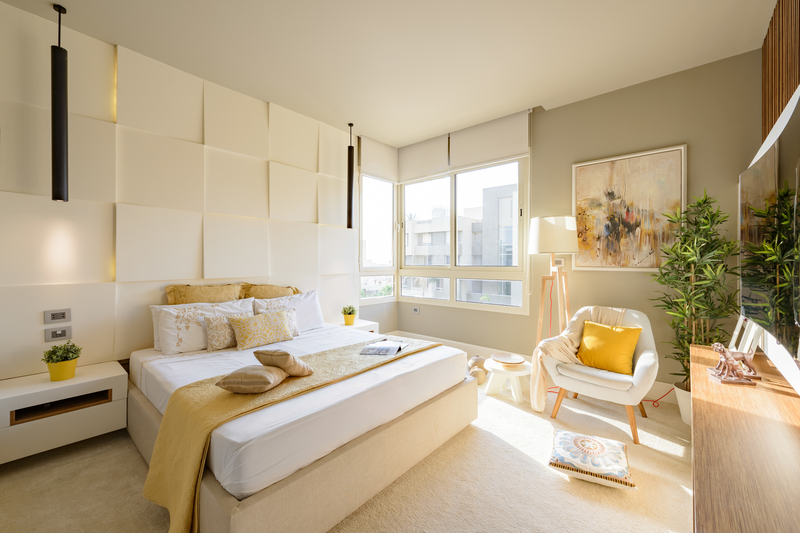 The apartment also takes a huge step forward in terms of sustainability and energy efficiency, with its advanced home automation system designed to automatically shut off lighting and air conditioning when the occupants leave the room. 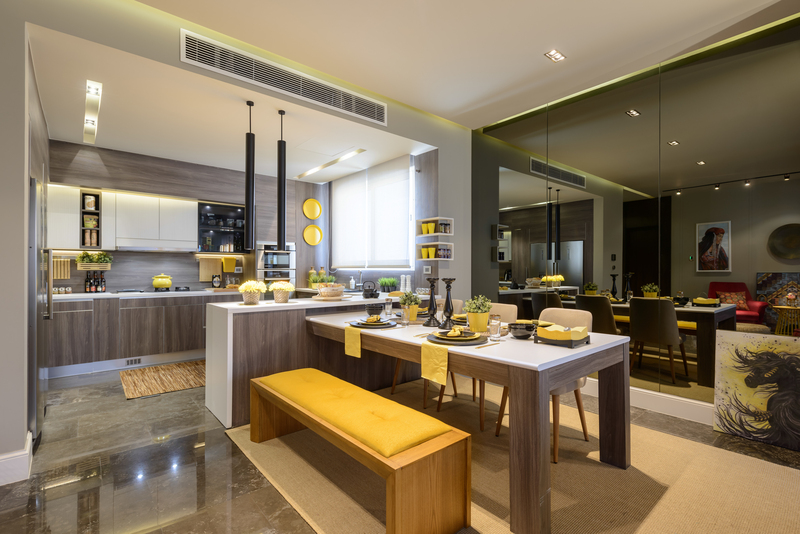 The client for this particular project is a young, open minded businessman who was obsessed with Arabian horses and enamoured with the yellow colour. The clients passion for horses inspired us to play on this particular theme throughout our design process. The main design concept was to create a modern design with an Arabian touch to reflect his interests and personality beautifully. The main challenge during this project was achieving optimum space management for all required spaces in this small area whilst preserving the need for privacy for residents during the design process. Creating the perfect mix of contemporary style blended with Arabian culture was also challenge as it was somewhat difficult to create without distortion. The team’s goal was to integrate home automation technology with a sophisticated, modern design. Seeking to create harmony between the traditional and contemporary, with a high-end, luxury look while maintaining a connection with Arab culture through the accessories whilst promoting sustainability and energy efficiency. The SBID International Design Awards is a very reputable & honourable organisation and being celebrated as winners in our category is very beneficial and adding credibility and value to our leading Middle Eastern firm.